founder of the Inner Strength Teen Program. Your registration includes a free subscription to Inner Strength e-newsletters. We respect your privacy. Your information will never be shared or sold. If you are like most conscious and sensitive adults, you are aware of the challenges teens face today. You don’t just want to hope they’ll find their way . . . you want to empower them with the best tools and insight that you know of. Build the lifelong support of being kind to themselves and others . . . However, in spite of your best intentions, it might feel like there is some toolkit that you haven’t yet found that would set you on a fulfilling path working with teens and supporting their highest potential . . .
. . . it may feel like you’re filled with aspiration and enthusiasm, but the starting gate is stuck shut. It has to do with our focus on solutions that are only outside ourselves. We’ve absorbed this bias from our culture to our detriment—without even realizing it . . . While external supports are important, there are reliable and powerful sources of inner strength we can draw from. And there are simple and effective tools that you and your students can use anywhere and anytime. There are no external props necessary. I am talking about working with time-honored tools that rely only on our human qualities of calm attention, curiosity, and care. Mindful awareness has been practiced across cultures for thousands of years. It relies on the most basic aspects of our human experience –breath, sound, eating, walking. You can learn how to work with these tools through simple but profound exercises. When you share these skills with teens, you give them inner resilience that will be theirs for their entire life–inner skills that will support them through the turmoil of adolescence, and well into their adult lives. When you learn how to teach mindful awareness to teens, you also learn how to share the depth of your life experience. You will discover how to mentor teens in the most important and transformative ways. 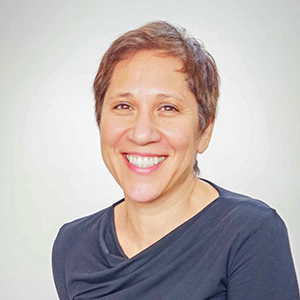 Amy Edelstein began her own mindfulness practice as a teen in 1978 and began training more seriously in 1982. She went on to a lifelong practice of mindful awareness, over 35-years, often in intensive practice, learning about the tools, various approaches, and other aspects of human development, adolescent growth, the effects of trauma and other fields. All this insight now inform the Inner Strength Teen Mindfulness Program and its CASEL endorsed curriculum. Amy is now one of today’s leaders teaching the tools of mindful awareness and systems thinking to teens. Her Inner Strength program has trained more than 5,500 teens in inner city high schools and it continues to grow. For educators, teachers, and parents who want to help relieve anxiety and cultivate stability in teens, she has discovered that shifting our bias on external props to inner strengths and qualities of attention is a foundational step. Once we make this simple but powerful shift ourselves, we are ready to learn to work with teens in ways that are deeply empowering for them and utterly fulfilling for us. In this FREE Online Seminar Amy Edelstein will guide you through that shift. Yes, I want to receive the recording! Amy Edelstein is a powerful communicator of ideas and perspectives that can transform ourselves and the culture we live in. 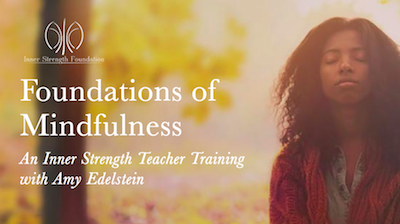 In 2014, she established the Inner Strength Foundation, which has trained over 5500 teens in Philadelphia high schools to work with the tools of mindfulness and systemic thinking and realize their higher potentials. Amy has thirty-five years experience with contemplative practice and is author of several books including the award-winning The Conscious Classroom.